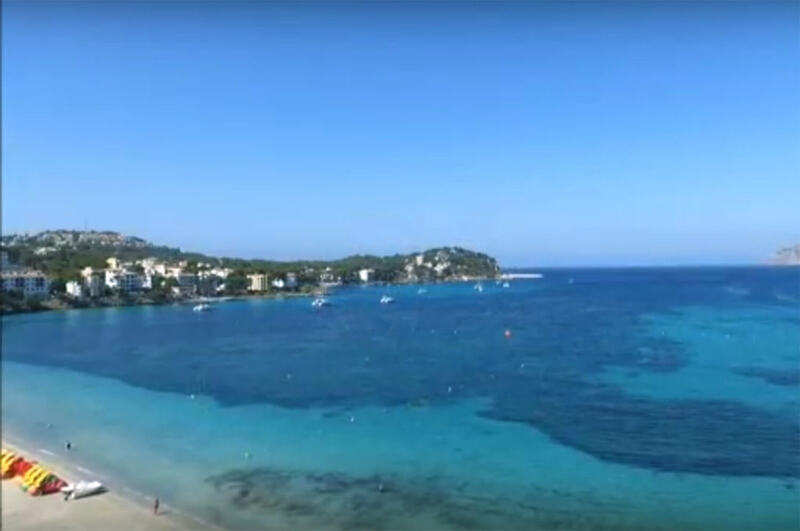 Santa Ponsa was originally named Sa Caleta which is where the Marina is and where the King Jaume I collected his tropos to begin the re-conquest of the island. This historical place now boasts a huge stone cross that was designed by Tomas Vila and is called the Disembarkment Cross of Santa Ponsa. In the XVI century the port was commercial and was used for merchandise. 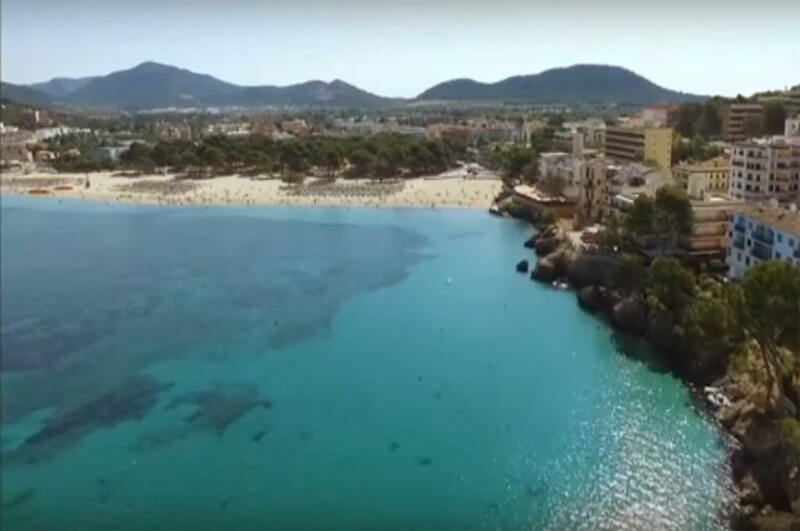 The Santa Ponsa beach measures about half a kilometre long and some 30 meters wide and is called Caló de´n Pellicer. 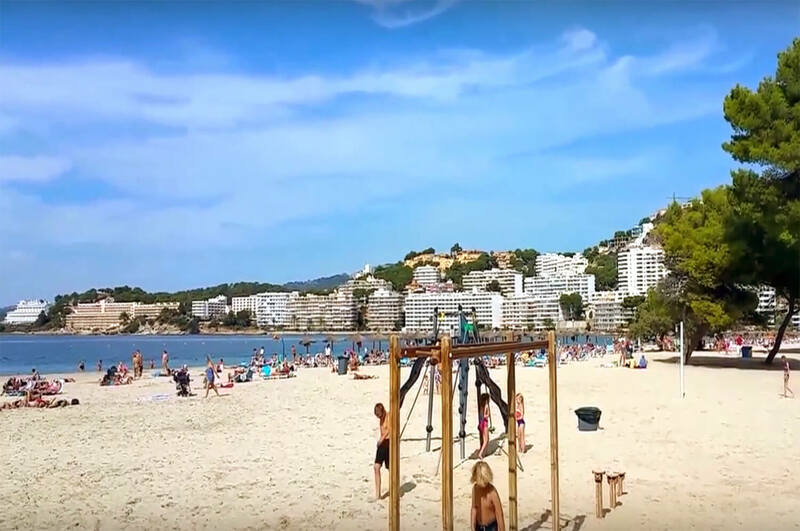 This is the beach where movie star Elke Sommer boasted her first bikini in the film “Bahia de Palma” . 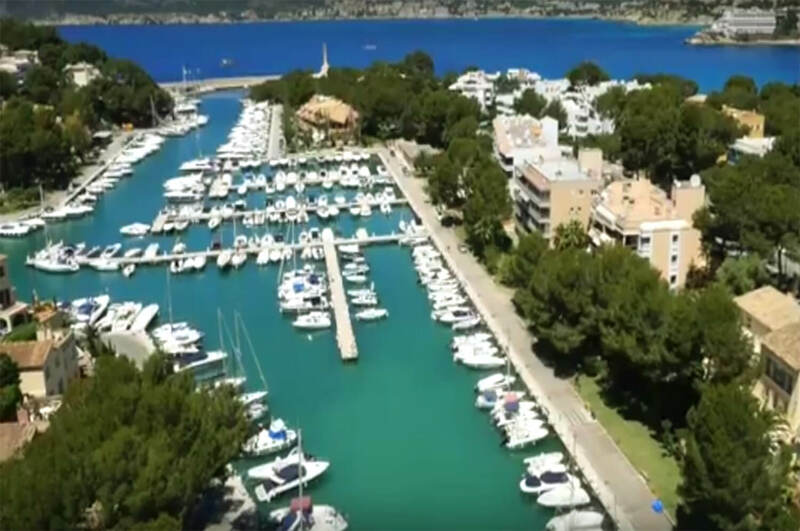 For boat lovers the Club Náutico de Santa Ponsa has more than 500 moorings. For archaeology lovers the Parque Natural Sa Morisca is worth a visit. 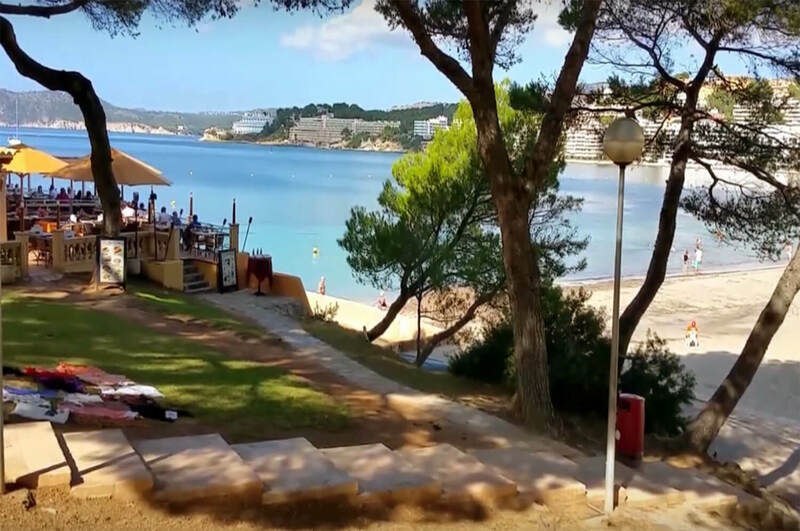 Building work in this area began in 1930 with summer homes for locals of the municipality and bit by bit it grew into the resorts of Santa Ponsa. This is one of the more picturesque marinas in Mallorca. It was built in 1975 in a natural inlet and is surrounded by gardens. It has 522 moorings that measure between 7 and 20 meters. The Marina has a gold Environmental Certificated from Lloyd’s Register. The marina became a Nautical Club in 2002 and the office is open from 09:00hrs to 18:00hrs throughout the year but does remain open later, till 21:00hrs during the summer season from Monday to Saturday. The cross was designed by Tomás Vila Mayol, a well known sculptor from Mallorca. It represents the conquest of Mallorca by Jaume I, and the sculptor depicted all the stages on the cross on different levels, for example, the first level represents the ships mooring at the beach of Santa Ponça, and on another level one can see the King Jaume I disembarking, and on another level one can see him on his horse in battle. There is also a representation of eight saints: Saint John the Baptist, Saint James, Saint Sebastian, Saint Catherine Thomas, Saint Bernard, Saint Ramón de Penyafort, Ramón Llull and Saint Ponça. On the cross there is an image of Christ crucified along with the figures of a bull, eagle, angel and lion representing the 4 Evangelists Mathew, Mark, Luke and John. On the back of the cross there is an image of the Virgen de la Salud (the virgin of health) and by her side there are the Coat of Arms of the Balearic Government, Calviá and the King Jaume I. This is known as the lungs of the municipality of Calviá and measures 35 hectares. It is divided into several fazes. The first is from the Bonze Age, 1200 years a.c and it is related to the maritime control for the coastal settlements and helped navigation. 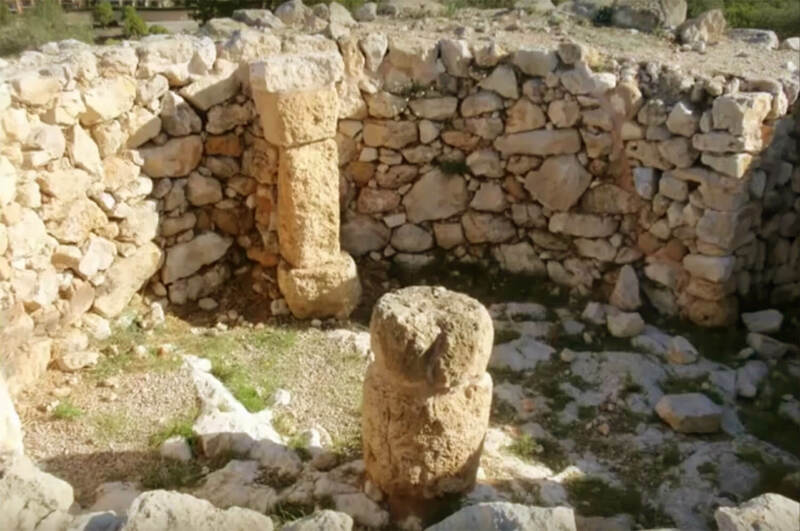 The second is from the Talayotic period during the Iron Age , 900/800/ a.c., where the tower was built at the peak of the Puig mountain. There is a wall surrounding the access to the peak where there are five towers. The third faze was the village that was built starting in the VI century and became of importance due to the commercialisation of local goods. This village was abandoned during the conquest of the Roman Republican troops. The last faze was built between 1201 and 1229 during the Islamic period where several rooms were built on to the tower of Monte Sano (Tower III). Filmed at the begining of the 60’s, starring M. Elena Vallés during a very complicated time due to the censorship regime of the period and causing quite a scandal as it was the first time a woman (the beautiful star Elke Sommer) posed in a bikini ( item of clothing prohibited en Spain) on the white sands of beaches in Mallorca. It was finally allowed for viewing for tourist publicity reasons.